Same same but different that is exactly how I would describe Comida Mexicana at East Coast Road. 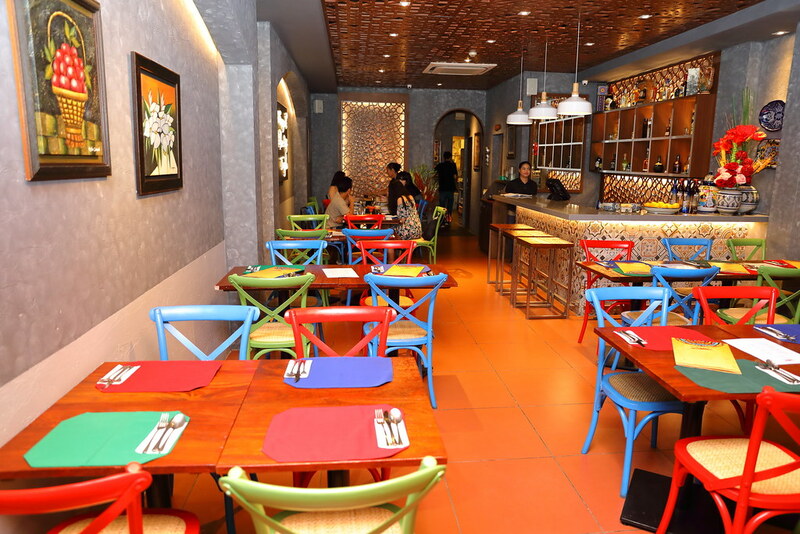 Managed by the same folk behind Margarita's, the team has revamped its outlet in East Coast Road and created a new casual and convivial dining concept offering Mexican food which in Spanish is the name of the restaurant - Comida Mexicana. 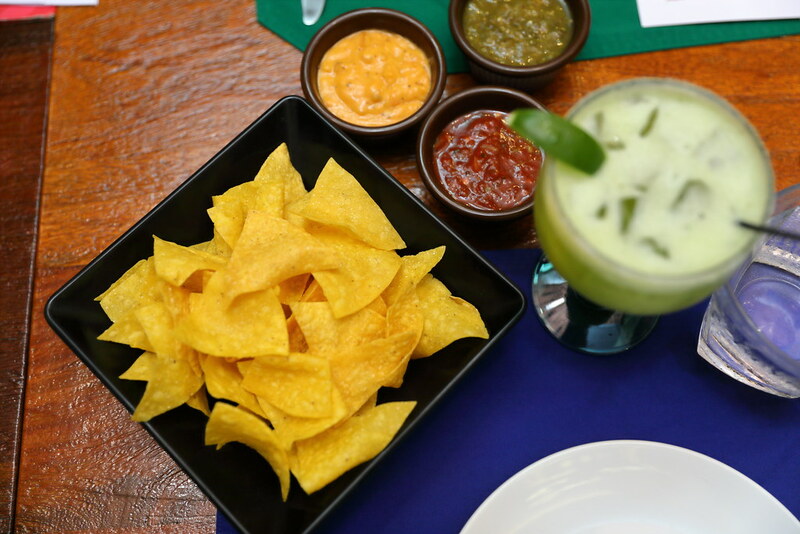 We started with some freshly made tortilla chips before dinner is served. 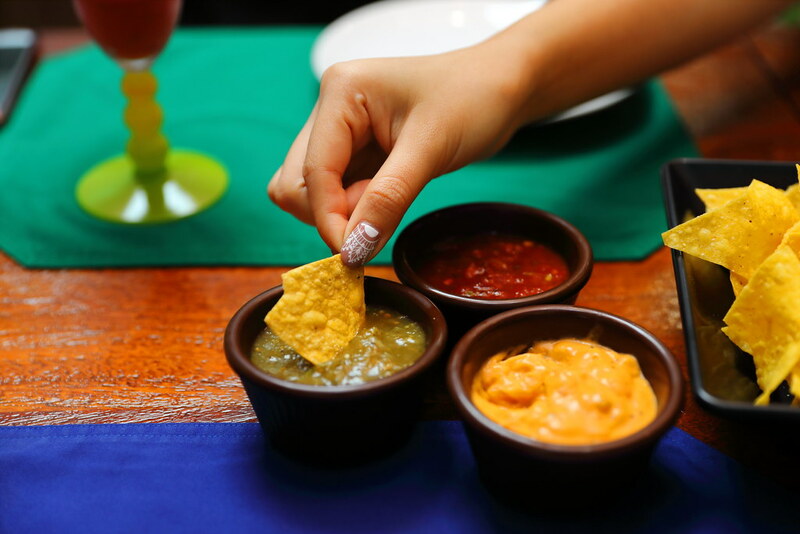 At Comida Mexicana, you order the prefer choice of dip to go with the tortilla chips. There are a total of 4 different dips on the menu and we tried the Red Salsa ($6), Green Tomatillo Salsa ($7) and Chile Con Queso ($16). Most in the group likes the chile con queso or chilli with melted cheese while I actually enjoyed the green tomatillo salsa for its spicy kick. The Enrollados ($18) is the Mexican popiah. The tortilla is rolled up with chicken, jalapenos and cheese stuffing. It is then coated with egg and deep fried. This is topped with fresh salsa, sour cream and guacamole. The doughy bite of the enrollados was quite enjoyable with the different flavours working in harmony. 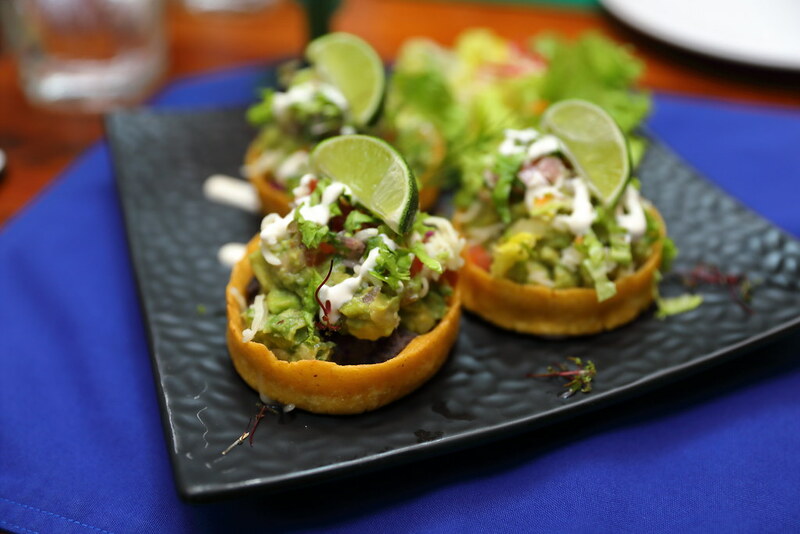 Next we tried the Mash Avocado Sopes ($20) which is known to be originated from central and southern parts Mexico. The crackling and light fried masa base held the pile of mash aovcado for a textural enjoyment. I only hope the flavour has more punch in it. 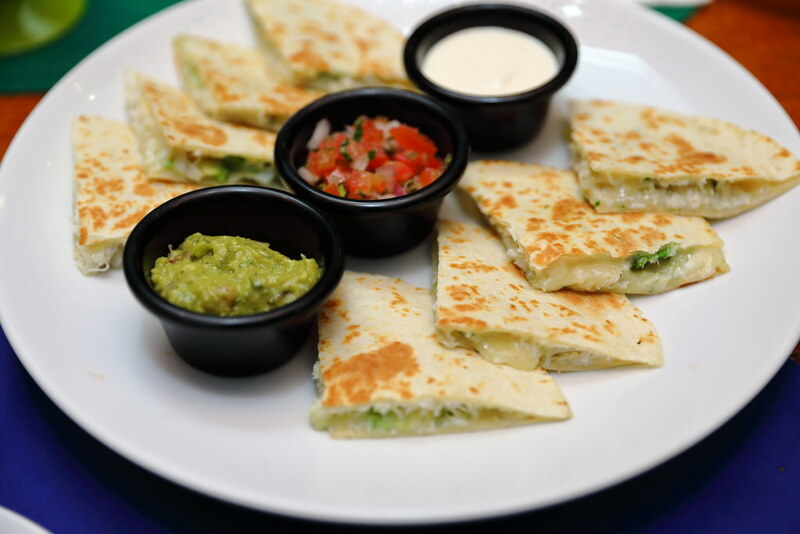 The Crab & Aocado Quesadillas ($28) is an off the menu creation. What made it worked was actually the creamy sauce of the crab mixture. It was surprisingly very delectable, complemented by the thin and crispy tortilla. Next we tried the Carnitas ($32) which is Mexican pulled pork. 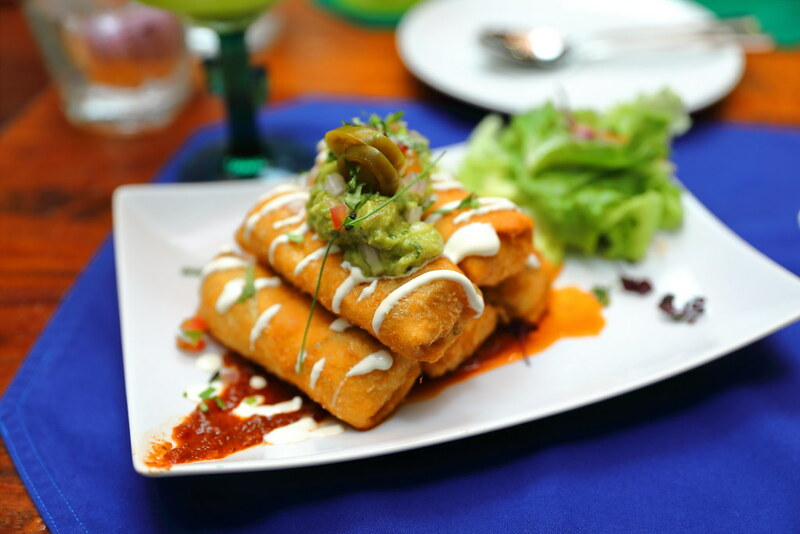 It comes with warm corn tortillas, salsa rojas, salsa verde and guacamole. We are supposed to eat it like a wrap with a bit of everything. However I felt the corn tortilla was too thick, masking the appreciation of the dish. Credit has to go to the beautifully cooked pulled pork which is tender and flavourful. I actually ended up having the pulled pork without the corn tortilla. 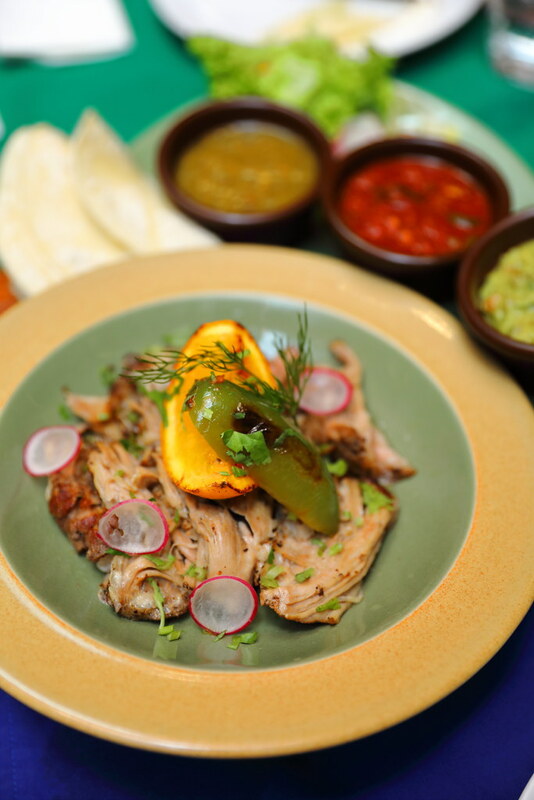 A favourite dish among the dining group is the Mexican Yucantan Chicken ($28). 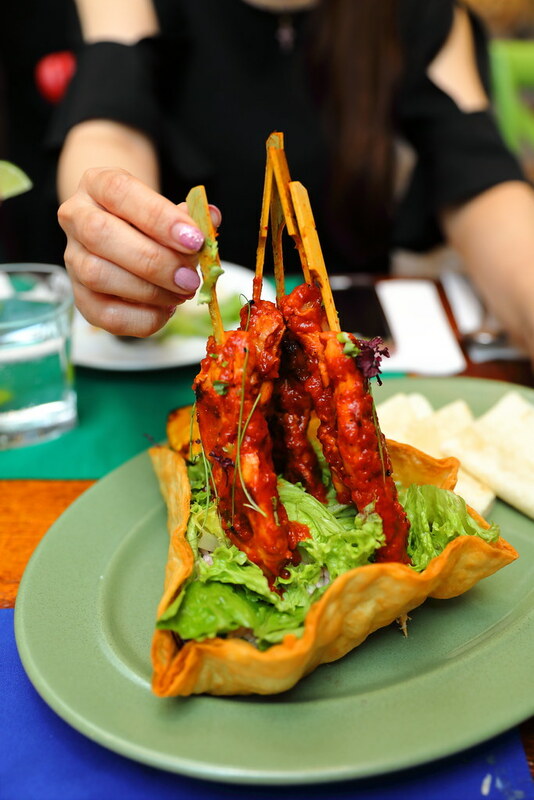 The chicken skewers are spiced with achiote and orange. The tender and juicy chicken was extremely delicious with the sweet marination. 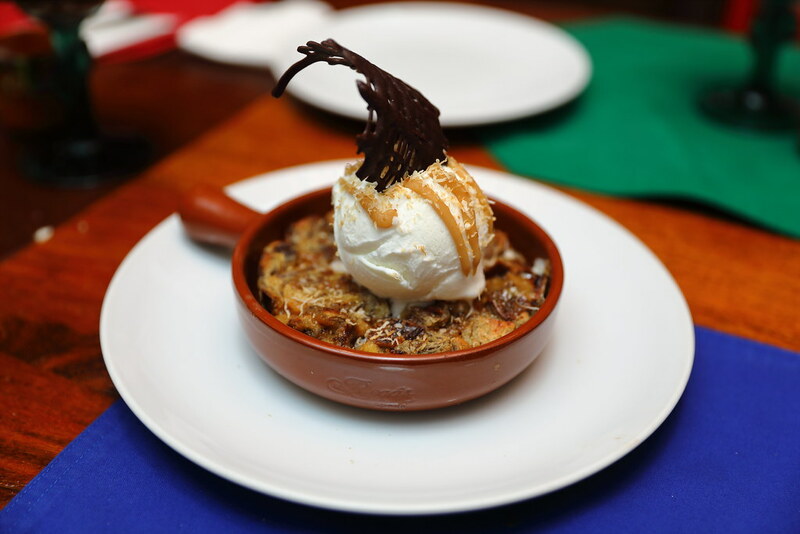 A pleasing dessert to wrap up the dinner is the Salted Caramel Pina Colada Bread Pudding ($15). The play of hot and cold, sweet and savoury together with the soft bread pudding provided a delightful finishing for a lovely dessert. For coffee lover, not to be missed is the Kahbrita ($14). 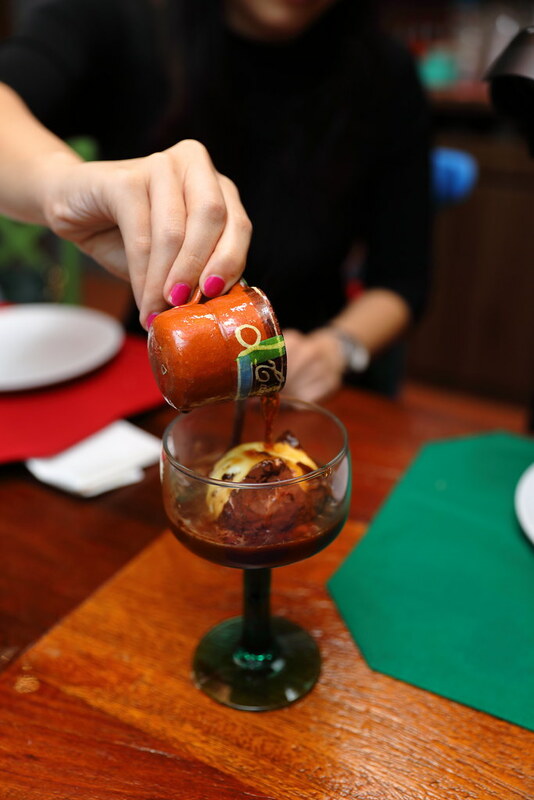 Similar to affogato, the dessert glass consists of Kahlua and a scoop of ice cream coated with Mexican chocolate. A shot of espresso is then poured over the dessert for a bitter sweet enjoyment. Overall I find the place and food at Comida Mexicana is family friendly which suits its neighbour. However I find the Mexican food here a bit light handed. I thought Mexican food should be more vibrant in flavours.